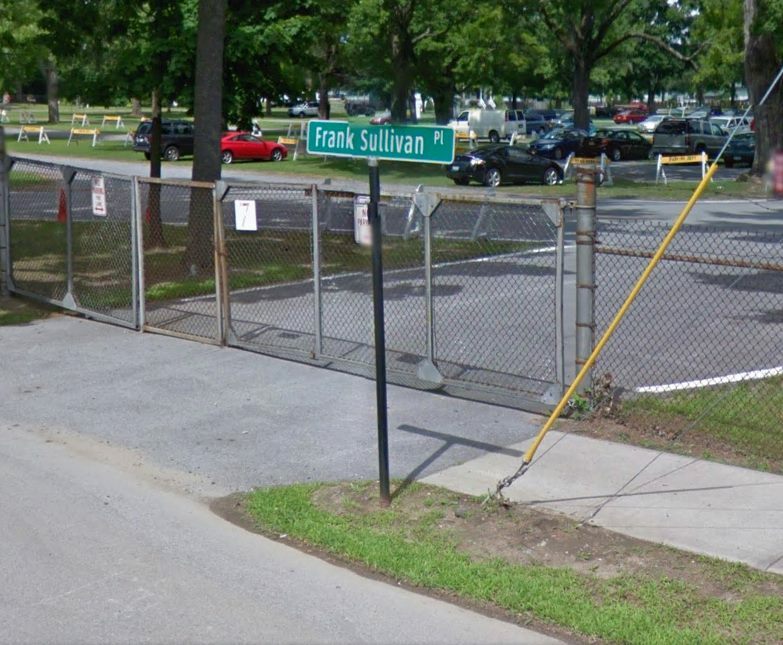 Frank Sullivan Place in Saratoga Springs, NY, next to his beloved racetrack. Sullivan is not the only Round Table member to have a street or road honorific. What’s sad is I was in town last week, went running, and totally missed this! (Google photo).